Why Come to Puerto Rico? Puerto Rico is a combination of history, diverse culture and heritage. Full of beautifull landscapes, warm people, fascinating attractions and intriguing cities. There is not reason not to visit. 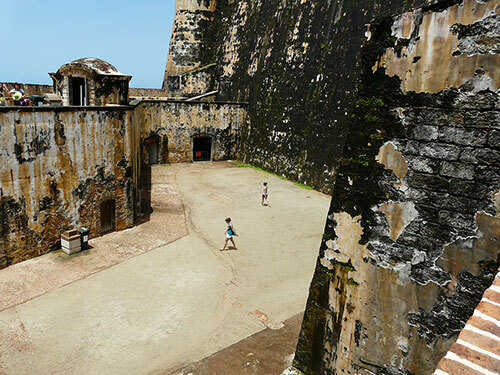 Puerto Rico has one of the richest artistic, cultural and historical heritages of all periods. There are so many cultural things to see in Puerto Rico. You will never have enough time to see everything in one visit. Puerto Rico is one of the biggest and best rum-producing nations in the world. Rum is the national drink, and you can buy it in almost any shade. Puerto Rico is the world's leading rum producer; 80% of the rum consumed in the United States hails from the island. There is a counted number bioluminescent bays in the entire world. Puerto Rico is home three bioluminescent bays. Mosquito Bay in Vieques, Laguna Grande in Fajardo and La Bahía Fosforescente in La Parguera. Mosquito Bay was officially declared the brightest recorded in the world by Guinness Book of World Records 2008. 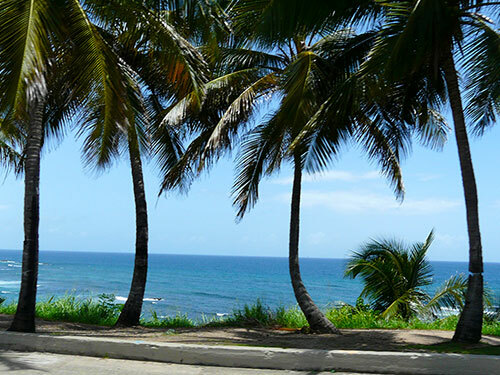 Explore San Juan, El Yunque Rainforest and BioBay with Go! Tours Puerto Rico. Find a roadside stand where whole pigs are roasted. Order a plate full of our popular and unforgetaable "lechón asado", toss a Medalla light and arroz con gandules and plantains and you will be in heaven. A real delicacy, prepared over natural wood charcoal and seasoned with salt, pepper, oregano, garlic and ajíes dulces. The skin is very crisp and the meat is fall-off-the-bone-tender. There is no wonder why this is the national dish of Puerto Rico and is festively presented at holidays and family occasions. Puerto Rican music has become very popular, genres include bomba, plena, and seis, while more modern innovations include the fusion reggaeton, also Puerto Rican calypso, reggae, and soca. Puerto Rico is just a short plan ride away from many major US cities, who offer direct daily flights. Once you get here, getting around the island is easy, hop on a car in any direction and within 3 hours you would hit the farthest point. Puerto Rico has unspoiled nature and beautiful landscapes. From exotic white sand beaches to unbelievable rain forest and mountains to underground caves and bioluminescent bays. Amazing experiences abound in Puerto Rico. Puerto Rico has more golf courses than any other Caribbean island, more than 20 championship golf courses designed by the biggest names. Known as the "Dining Capital of the Caribbean", Puerto Rican cuisine promises to satisfy your taste buds with an interesting and exotic blend of flavors. There is no passport required for visitors who are U.S. citizens. What you will miss when you leave Puerto Rico? We are known for their warm hospitality, and often considered very friendly and expressive to strangers. The Endless Summer Year Long Because of the latitude of Puerto Rico the sun is high overhead all year, there are no great variations from day to day between the times of sunrise and sunset. Find yourself surrounded by 227 miles of white sand beaches and calm waters. You will find a bakery on every corner and there is nothing like the smell and taste of fresh bread out of the oven, the crisp yet soft way it melts in your mouth. Do I need to stay more? Traveling to Puerto Rico? Get the Puerto Rico (National Geographic Adventure Map), includes locations of airports, harbors, anchorages, ferry routes, and toll plazas take the guesswork out of travel around the islands. Visitor centers are also marked for travelers seeking additional resources.